Guided and unguided Maine Adventures. 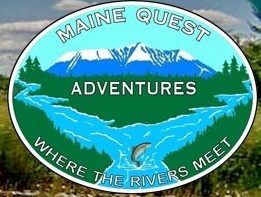 Maine Quest Adventures is an outdoor adventure company owned by Bryant & Sherry Davis, we specialize in wild and scenic places. Check out our photos & or visit our web site at Mainequest Adventures. We provide guided and unguided Maine Adventures, our trips can range form one day to multiple days, hiking to canoe/kayaking. We also guide fishing trips on most waters in the Katahdin Region. This can be done by fly or spin rods, drift boat to waders. What ever your taste for adventures is chances are we can help make your trip of a life time come true.